On arrival at the Suite we were greeted and entertained by our hosts at The Waldorf Hilton much to our delight whilst the talented cast were finishing rehearsing. Having stayed at this hotel many times I was not surprised by the level and attention to detail that has been bestowed upon us at the launch and within the suite itself. 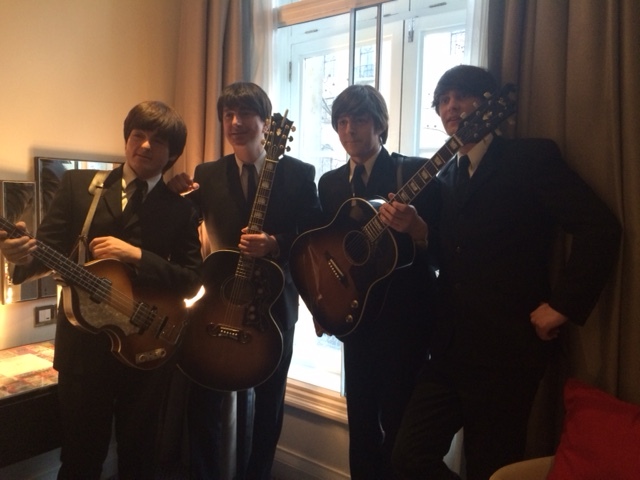 We then had an opportunity to listen to a private acoustic set, interview the Fab Four and check out the suite. 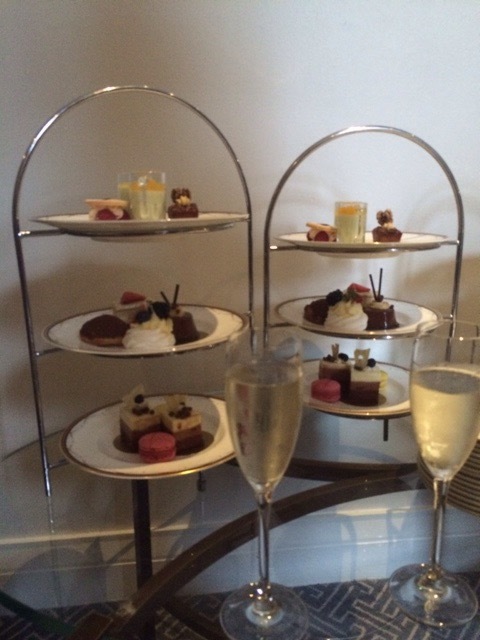 What follows is a few of my thoughts and delights of the 75 mins I experienced! 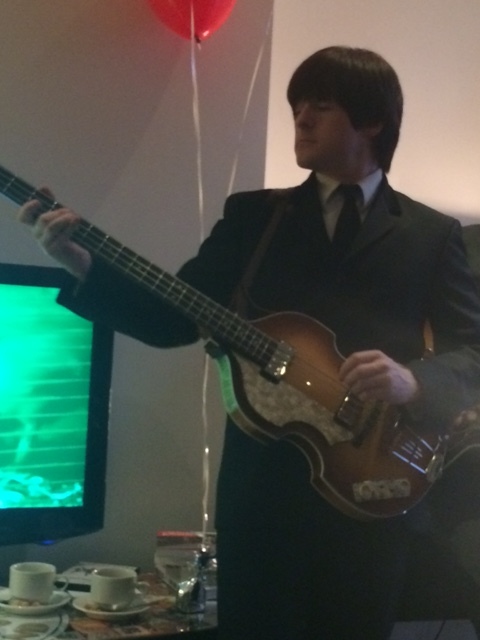 Here is a few seconds of We Can Work It Out Ryan Coath (John) Peter John Jackson (Paul) Paul Mannion (George) and Ben Cullingworth (Ringo) have a huge amount of talent among them as you will see by this stripped down performance. 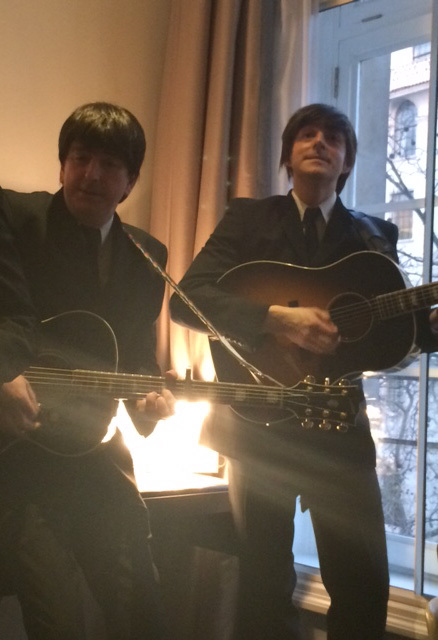 All have a wealth of experience playing the fab four and have toured in Europe, Asia and beyond. Ryan Coath also opened with the show when it transferred to Broadway. Here’s a second mini video for you Here Comes The Sun. 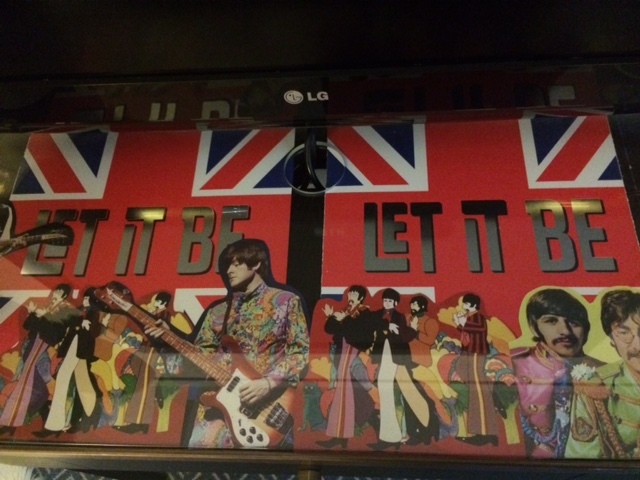 A further post will be on Carn’s All About Theatre shortly that will be reviewing the show and discussing the talents of both casts of Let It Be. 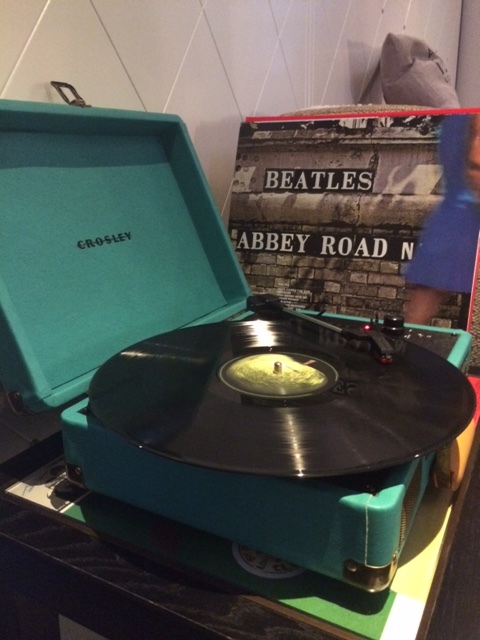 When the boys stopped playing there was music playing from the record player and the television was streaming DVD’s of the Beatles films whilst we were there.The decorations are all Beatles inspired. 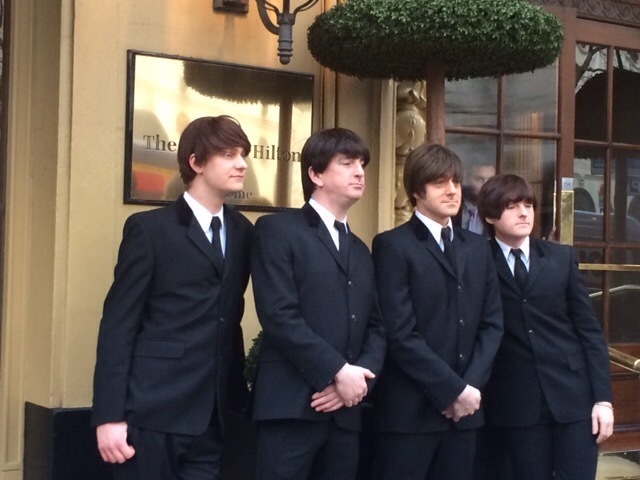 Today we exclusively unveil the Let It Be Suite to the media with the #cast of the hit #WestEnd show. 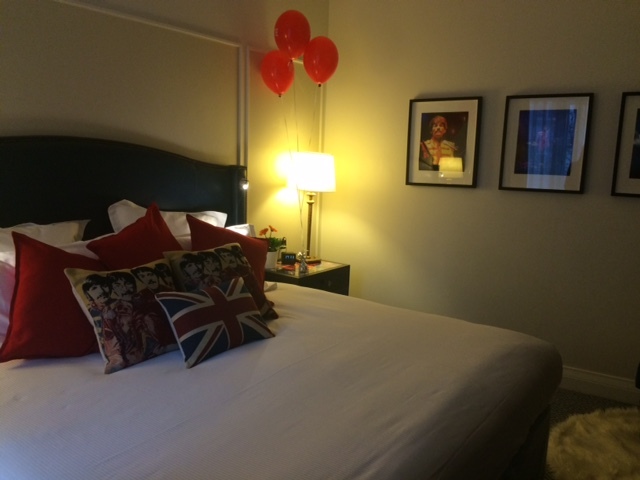 Be the first to book your stay and relive the spirit of the 1960’s and #Beatlemania here at The Waldorf Hilton, #London surrounded by Beatles #memorabilia in your very own Let It Be Suite, available from 11th March until April 30th. 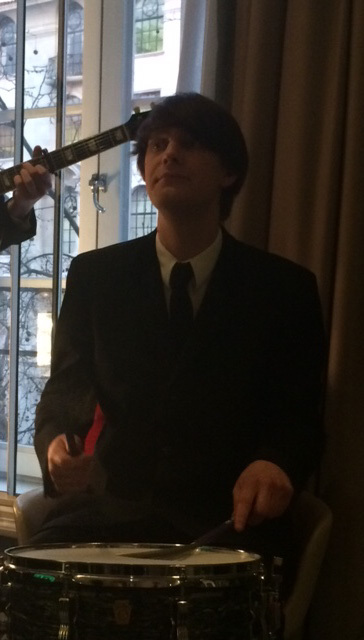 @carnfarmer: As a performer I always had a worry song, A song that I would generally relax after when done? My next blog over on Carn’s All About Theatre will be the review of the show and the balcony set. 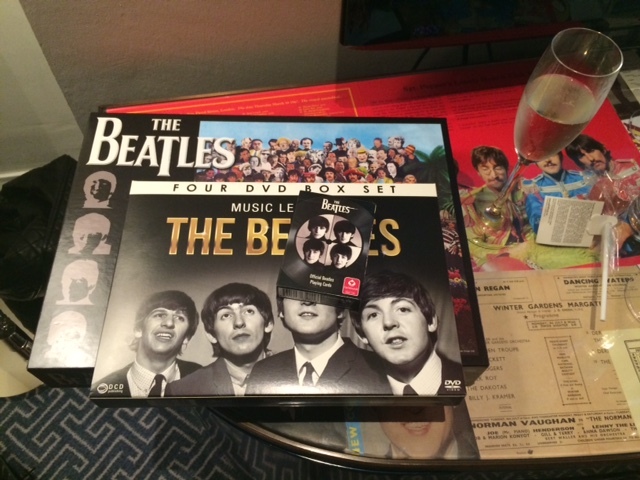 However if you want to try “A day In The Life” of a Beatle take a “Ticket to Ride” or become a “Day Tripper” for a stay at The Waldorf Hilton and book yourself into the Let It Be Suite before it closes on the 30th April, because come the 1st of May that chance will have only been “Yesterday” and you might be facing a “Revolution” at a wasted opportunity!